Reflecting on the holidays this year, what were some of your favorite moments? What is one thing you did that brought joy to someone’s face? I’d like to share one thing I did- and it not only brought joy to someone else, but it also made my day. 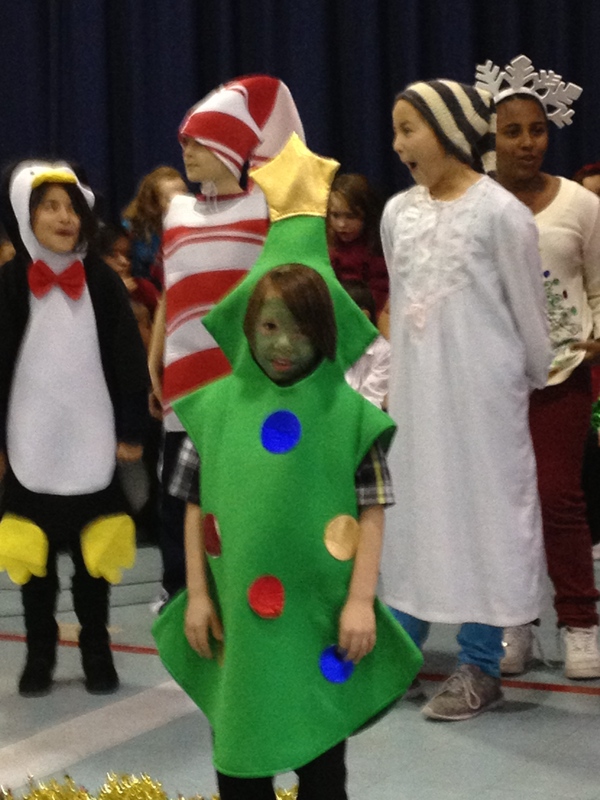 Our client- I’ll call her Mollie- desperately wanted to go to Tacoma to watch her niece’s school Christmas pageant. Mollie’s niece isn’t a student at the school- she is the music teacher and responsible for the entire pageant. Directing and organizing 300 children under the age of 11… impressive stuff. Even more impressive, many of the children at this school have parents who have dedicated their lives to serving others by working on the Fort Lewis military base. I had first heard about this musical performance one afternoon in early December when I was visiting with Mollie in her home. We were reminiscing about the holidays and she mentioned to me that she really wanted to attend the holiday pageant- but had no way of getting there. Although she has a full time caregiver that assists in her home on a daily basis, on this particular day her caregiver was unavailable. As Mollie told me about she had never missed a performance, and how her niece reserved VIP parking and special front row seating for her- her eyes welled up with tears and her voice faltered- I could tell this was very important to her. So I offered to take her. The minute the words were out of my mouth her expression changed to utter delight. In the weeks leading up to the big event Mollie would call me often, running details by me, checking on what time I would pick her up, planning where we would go for lunch… this was a big outing for her and she wanted everything to be perfect. Finally the day arrived, I picked her up at 10:00 and we headed to Tacoma. On the way down she shared stories of her life and her family, reminding me there is so much more to each and every one of our clients than what meets the eye. When we arrived at the school her niece came running out to the parking lot to steer us to our VIP spot and then escorted us our reserved seats in the school gym. The minute the show started I was captivated. Each and every child in that school was bursting with pride and excitement. They were singing their little hearts out- and it showed! My eyes filled with joyful tears- watching these sweet, innocent children have their moment to shine was thrilling. Each song was better than the last- the kids danced, sang, and entertained the crowd for an hour and a half- and it was fabulous. Best of all, as I looked over at Mollie- the smile on her face confirmed that this was indeed the highlight of the holiday season for her. Sometimes we forget that we can spread happiness by doing the simplest things for others. By taking time out of my busy schedule and driving my client to Tacoma I got to experience first hand the joy of the season- and what it’s really about- and that’s a Christmas memory I will never forget.